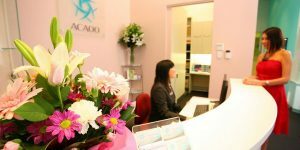 The Australian Centre for Adult Orthodontics and Orthopaedics (ACAOO) is dedicated to providing specialist treatment for adults, utilising state-of-the-art technology and incorporating modern concepts in adult orthodontics and orthopaedics with the best possible care available today. We are conveniently located in the heart of Sydney CBD. Our professional and friendly team will assist you in every way to ensure your visit at our surgery is informative, pleasant and enjoyable. 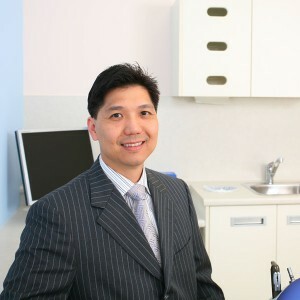 Dr. Gareth Ho is a Specialist Orthodontist in Sydney, dedicated to exceptional and innovative treatments in all aspects of orthodontics. 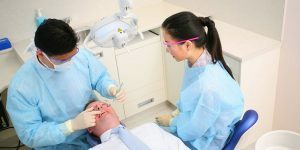 With broad experience in general dentistry and two Masters Degrees in the dental field, Dr. Ho is an expert in interdisciplinary case management. Dr. Ho has worked extensively in different major hospitals in Sydney and Melbourne. He has taught both undergraduate and postgraduate students in universities in Sydney, Melbourne and Hong Kong. Have a look on our clinic. There is a video of our centre in World Square. We are located in World Square Complex.